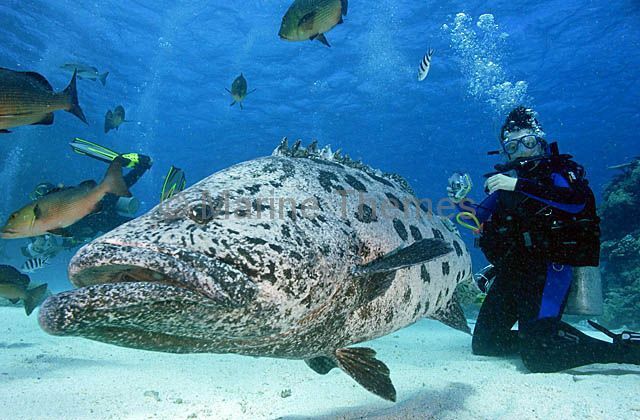 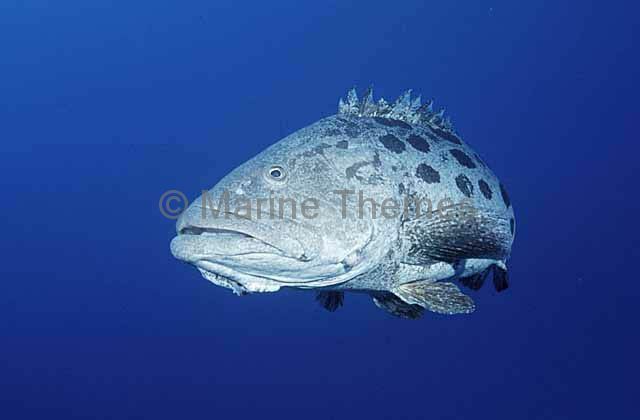 Potato Cod (Epinephelus tukula) with divers. 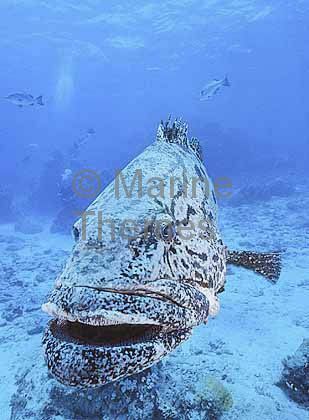 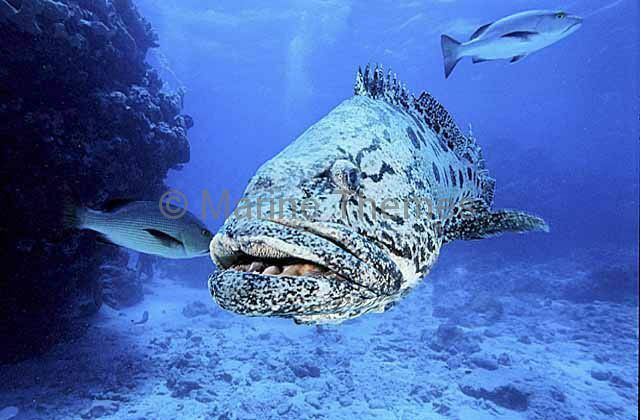 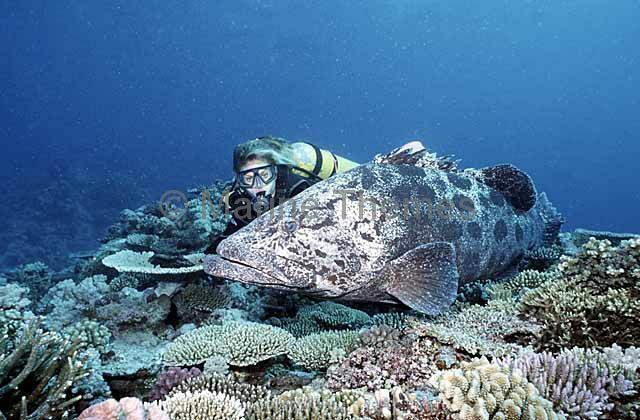 Potato Cod (Epinephelus tukula) on coral reef with diver. 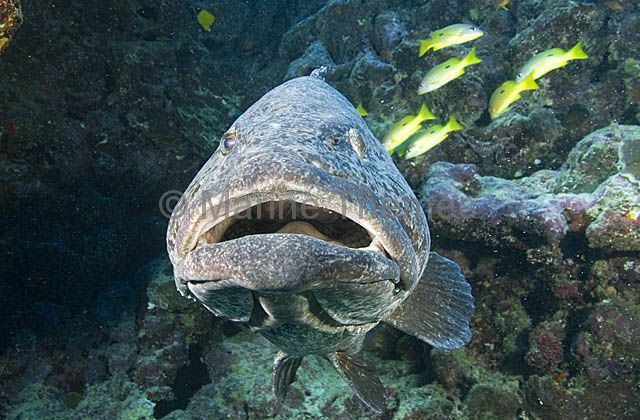 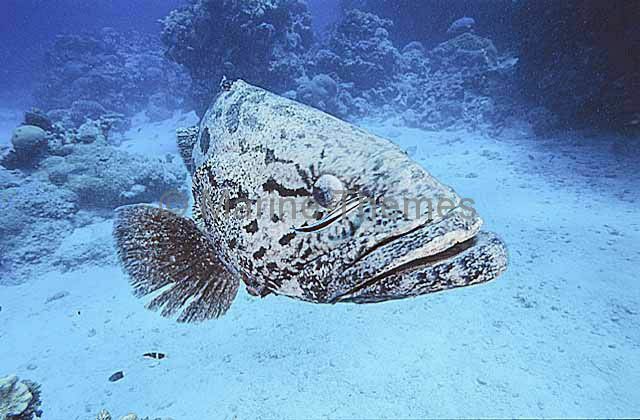 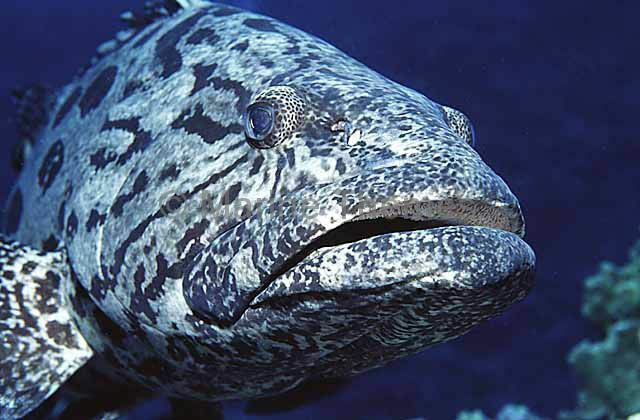 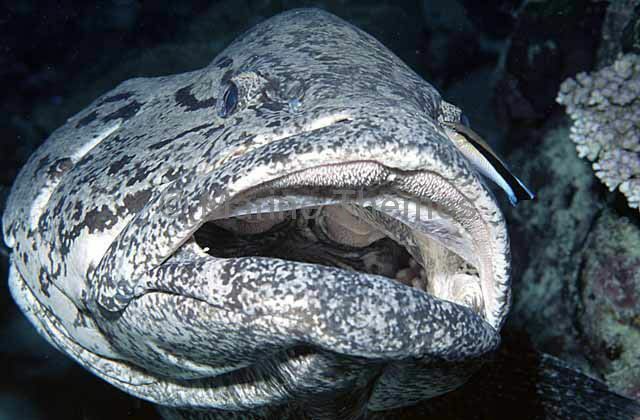 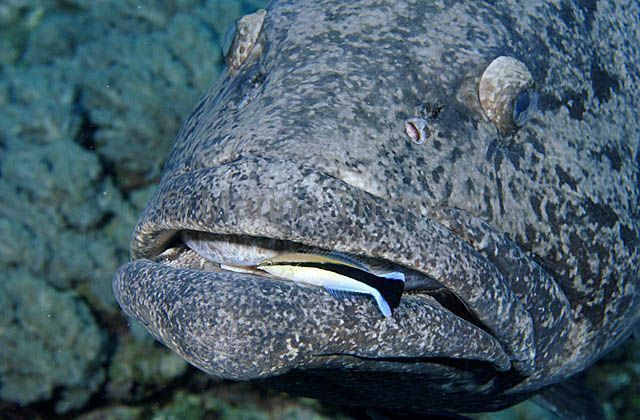 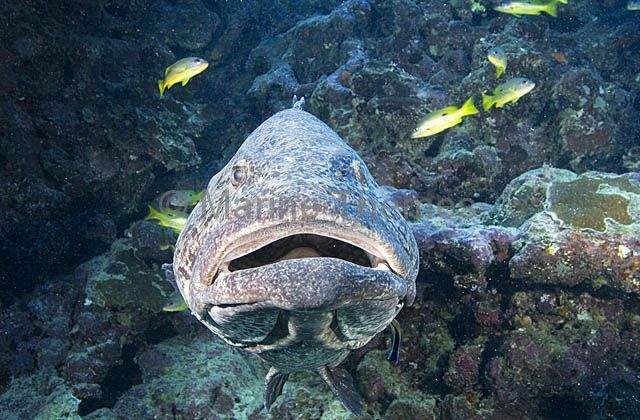 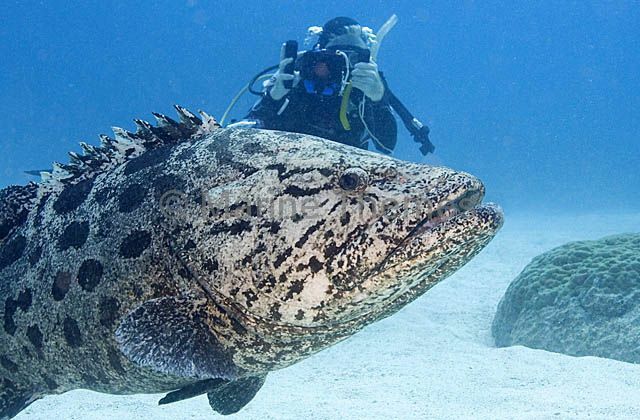 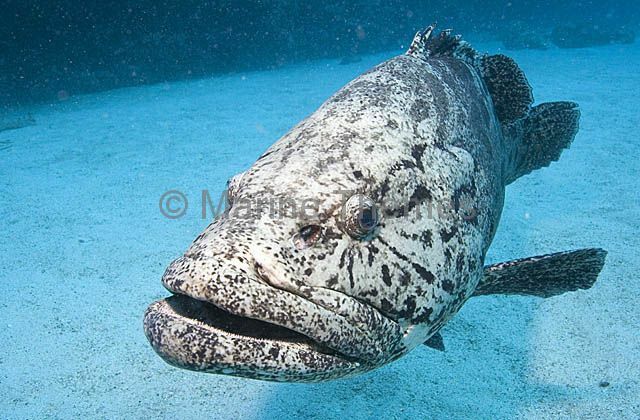 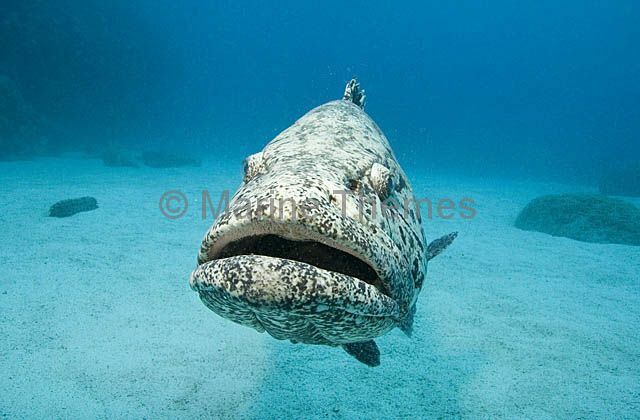 Cod can grow to 100kg. 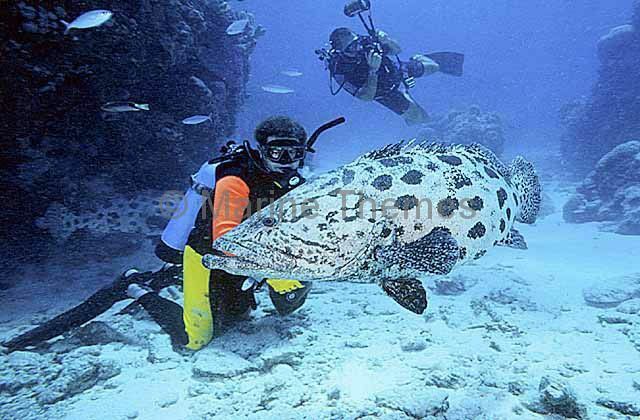 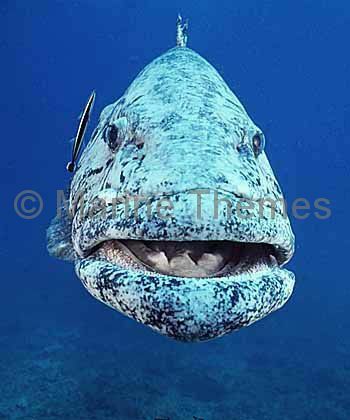 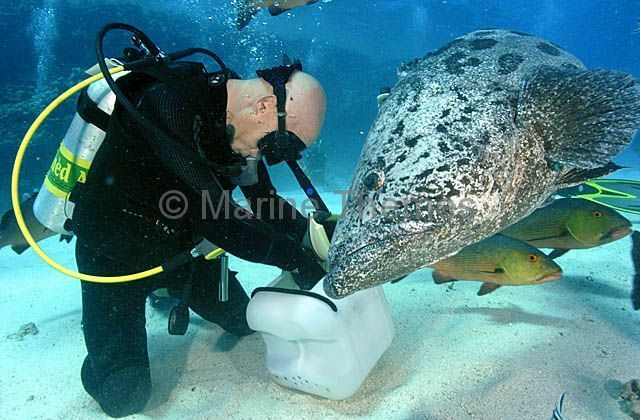 Potato Cod (Epinephelus tukula) being fed by dive guide. 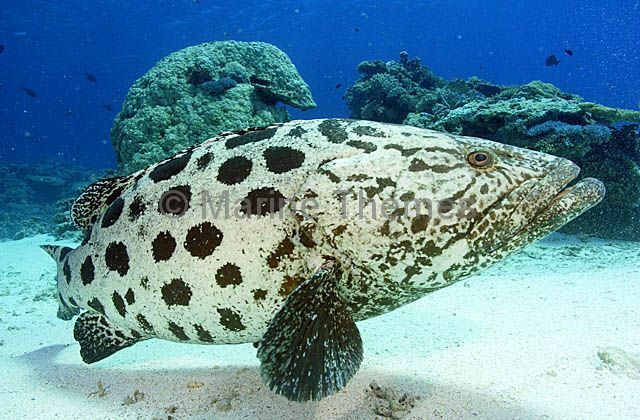 Potato Cod (Epinephelus tukula) with diver. 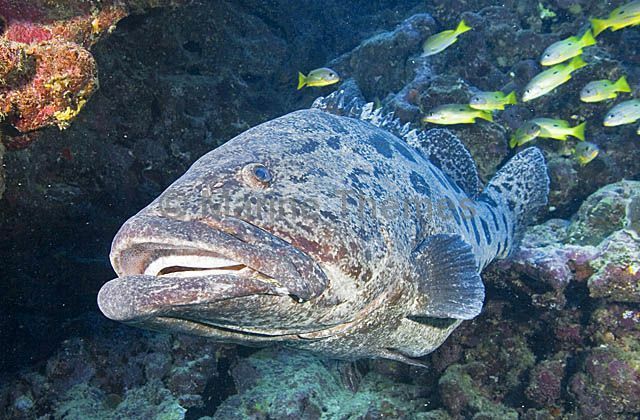 Potato Cod (Epinephelus tukula) in coral reef cavern. 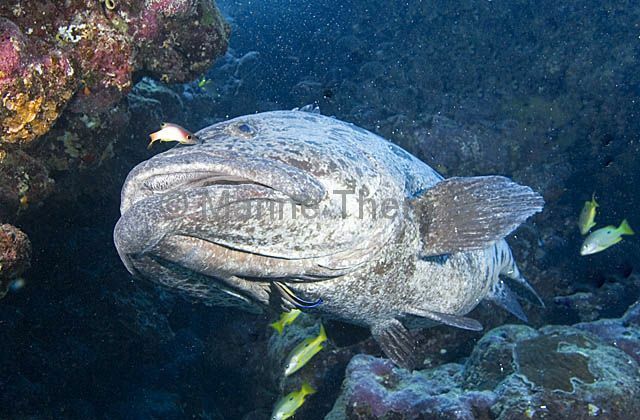 Potato Cod (Epinephelus tukula) being cleaned by wrasse while resing in coral reef cavern.